Allow yourself to be guided to the most beautiful sights, find the most fabulous travel tips and plan your perfect holiday. Are you coming to Africa? In this article, you will learn the most interesting sights to explore. Tanzania is the real pearl of eastern Africa. It is a true natural wonder filled to the brim with beautiful landscapes and wild animals. Paradise for travel photography,take exceptional pictures while climbing Kilimanjaro, the highest mountain in Africa and discover enormous whale sharks swimming along the exotic islands of Zanzibar. Do you want to experience the most spectacular safari in the world? Visit Serengeti National Park, where thousands of wild animals live across dusty plains. 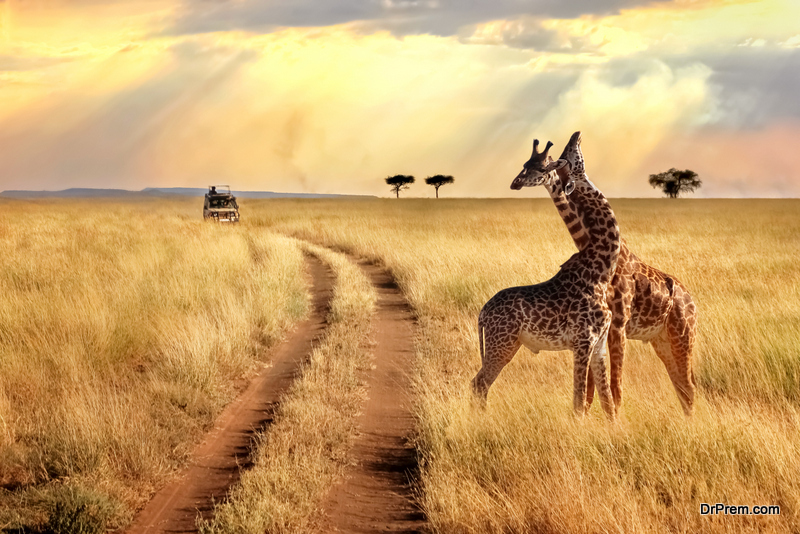 Tanzania allows you to explore Africa like never before. The culture of Tanzania is lovely and diverse. Portuguese colonialists, Indian and Persian merchants and British conquerors have left behind a mixture of architecture and culture. Like in Stone Town on Zanzibar, where Victorian and Arabic buildings alternate. Be surprised by the most beautiful sights of Tanzania. Kenya is all Africa in one country. Savannah plains, rift valleys, moss-green rainforests, huge mountains and a sublime animal richness; eith a white coastline and coloured coral reefs on the Indian Ocean. 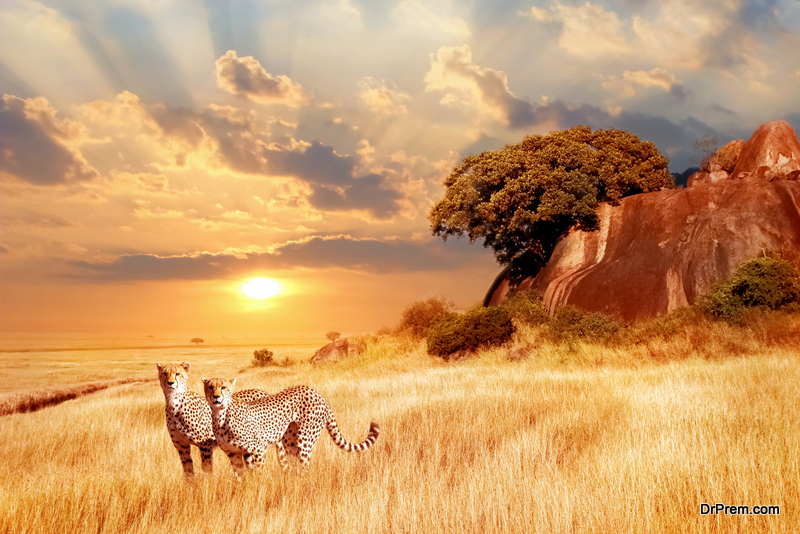 Be dazzled by the pure beauty of Kenya. Stroll through the rugged volcanic landscape of Hell’s Gate National Park to spot leopards and lions. Or discover hidden waterfalls and roaring Brazza monkeys in the rainforest of the Kakamega Forest Reserve. The most beautiful sights in Kenya can be found here. The most extensive natural file in the world is shown once a year in the Masai Mara National Park. Then thousands and thousands of wild animals, zebras, gazelles thunder across the dusty savannah plains. The spectacle is best seen from an air balloon. Explore Masai Mara, the Amboseli National Park which is on the southern border. Hordes of elephants migrate through this nature park, where you can enjoy a good view of the giant Kilimanjaro mountain. The highest peak in Kenya is Mount Kenya. Also exceptional are the rivers covered with crocodiles in the Meru National Park. The largest crocodile population in the world lives in the 7000 square kilometres of Lake Turkana. The lake is also a cultural gathering point for many tribes. If you want to revisit the civilised world, go to Malindi and Mombasa. In these cities, you will find a mixture of Swahili, European and Indian influences. Or visit Nairobi, the lively capital of Kenya. In the vicinity of the metropolis are many nature parks, with which Nairobi deserves the nickname ‘safari capital of the world’. Last but not the least, stay at a luxury resort in Angama, rated one of the best resorts in Africa by Independant. If we can call one country unique, it is Madagascar. No doubt. About 165 million years ago Madagascar separated from the African continent, resulting in an isolated development of native flora and fauna. The craziest plant and animal species can, therefore, be found in Madagascar, and only in Madagascar. The interior of Madagascar is as diverse as its animals. Tropical rainforest runs into an endless desert, swampy lagoons in high red plains. And this treasure of nature is surrounded by a 5000-kilometre long coastline and 250 islands. That Madagascar has magical powers is not an incomprehensible superstition of the indigenous people. Here you come for flora and fauna. 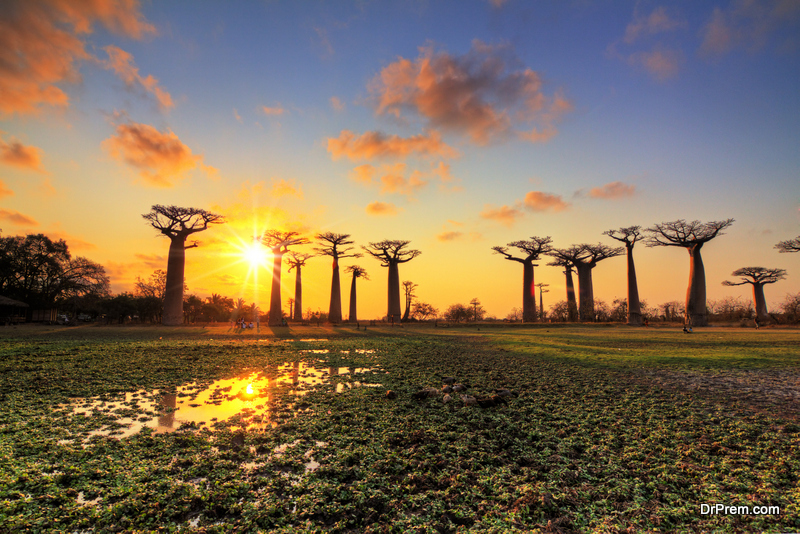 Madagascar island abounds with mountains and tropical rainforests to a desert and pearly beaches. Morocco is the land of a thousand senses. From the smells, colours and sounds that the medina in Fez and Marrakesh exhale to the spectacle of immense sand dunes in the Sahara. Across Morocco, the peaks of the Atlas Mountains form the character of this North African country. 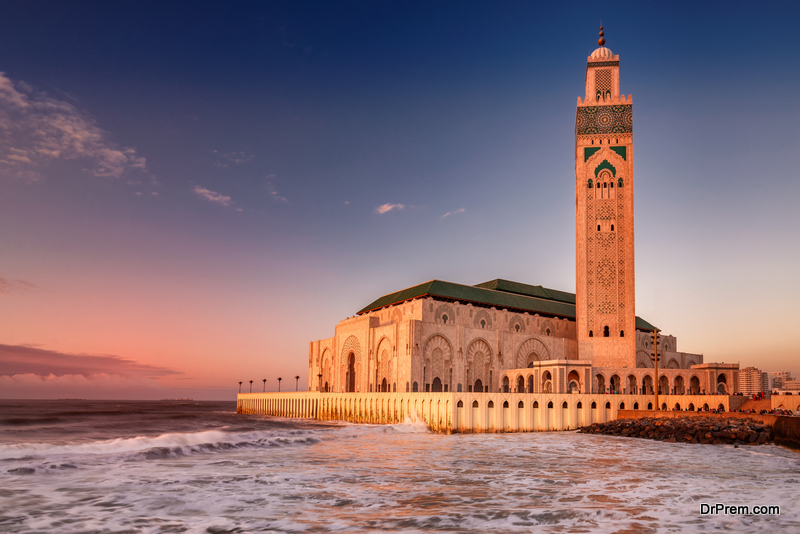 As the crossroads of Europe, Africa and the Middle East, Morocco has always been a breeding ground for traditional and modern cultures. Roman ruins have been preserved in the old trading town of Volubilis. The remote villages of the Berbers rest in the High Atlas Mountains and Arabic mosaics glitter in the mosques of Marrakech. Sniffing colours and herbs in the souks of Marrakech, strolling through the alleys of Fez, sunbathing in Essaouira, trekking through the Atlas Mountains and overnight in the Sahara. You can do literally anything you want in Morrocco.